According to the official police report, 27 people were injured and the distinguished Théâtre des Champs-Elysées was almost completely ruined. This was the result of the tumultuous 1913 première of Le Sacre du printemps which ballet impresario Sergej Djagilev commissioned Igor Stravinsky to write for his Ballets Russes. The audience was shocked by Stravinsky’s barbaric and savage music and Nijinsky’s revolutionary choreography. However, it didn’t take more than three performances to turn Le Sacre du printemps into a huge success, and not more than a year for Stravinsky to become a highly respected composer in Paris. A century later, it is clear that Stravinsky is one of the greatest composers of the 20th century and his Le sacre du printemps is a benchmark composition in Western music. 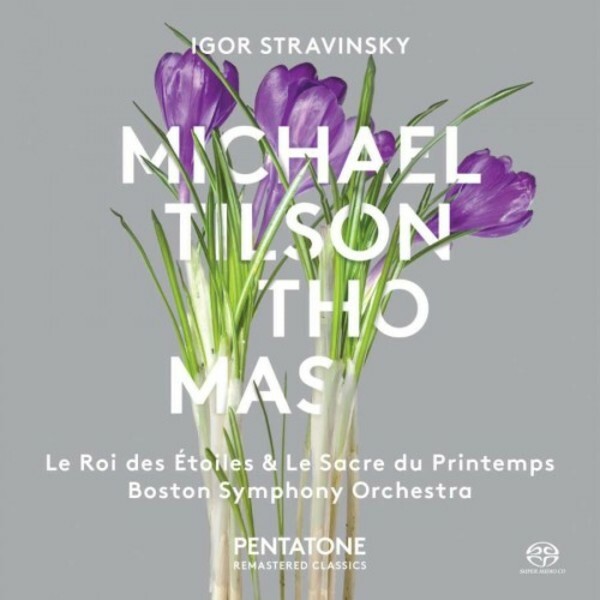 This Super Audio CD combines these two fascinating Stravinsky compositions, recorded in 1972 by the Boston Symphony Orchestra, the Men’s Chorus of the New England Conservatory Choir and conducted by Michael Tilson Thomas. As with all releases in Pentatone's Remastered Classics series, these 1972 quadraphonic recording tapes are now finally presented in the quality they deserved right from the start.